High school student hate history. When they list their favorite subject, history always comes in last. They consider it the most irrelevant of twenty-one school subjects; bo-o-o-oring' is the adjective most often applied. James Loewen spent two years at the Smithstonian Institute surveying twelve leading high school textbooks of American History. What he found was an embarassing amalgam of bland optimism, blind patriotism, and misinformation pure and simple, weighing in at an average of four-and-a-half pounds and 888 pages. In response, he has written Lies My Teacher Told Me, in part a telling critique of existing books but, more importantly, a wonderful retelling of American history as it should - and could - be taught to American students. 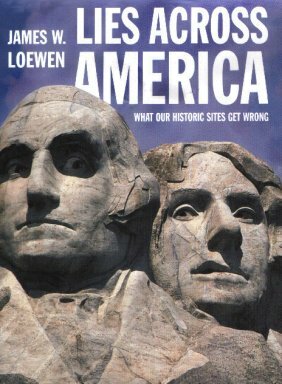 Beginning with pre-Columbian American history and ranging over characters as diverse as Reconstruction, Helen Keller, the first Thanksgiving, and the My Lai massacre, Loewen supplies the conflict, suspense, unresolved drama, and connection with current-day issues so appallingly missing from textbook accounts. Lies My Teacher Told Me: Everything Your High School History Textbook Got Wrong is in its 22nd printing and continues to draw media attention and strong bookstore sales. It demonstrates how Americans get a distorted understanding of their past in their high school years. Unfortunately, when they leave school, their miseducation continues. 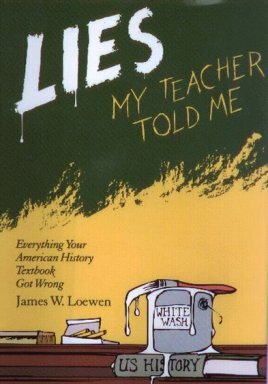 Lies Across America: What Our Historic Markers and Monuments Get Wrong shows how our shrines of public history suffer from the same kinds of omissions, distortions, and outright falsehoods that Lies My Teach Told Me found in American history textbooks. Lies Across America teaches visitors to read between the lines of historical markers and to deconstruct the sculptures on monuments and memorials. Viewed in this way, the lies and omissions across the American countryside suggest times and ways that the United States went astray as a nation. Included are a few sites that need no correction because they depict the past in all its complexity, even when it is embarrassing. The Shaw Memorial on Boston Common is one example, the Lincoln Memorial another. So come along -- and see what you've been missing! The book covers more than a hundred historic sites in all 50 states and the District of Columbia. It includes major sites like Valley Forge, the Jefferson Memorial, and Independence Hall. Readers may be shocked at what they didn't know about some of these places. It also includes far less well-known events, like the Louisiana site where more than 150 Republicans were executed in 1873. "Johnny Clegg is a South African anthropologist and historian, self-taught musician, and Zulu by choice. His music has spoken for those caught in the grip of apartheid, both blacks and whites; songs of freedom, hope, and love. His songs are uplifting and thoughtful, his lyrics both poetic and powerful." 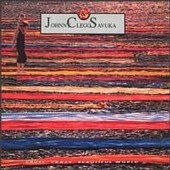 This is the quintessential Johnny Clegg album and, really, no music collection is complete without it. 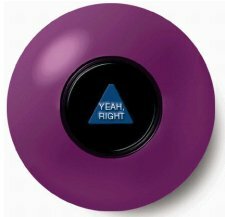 Advice that is a little bit more down to earth than that of the more famous Magic 8 Ball.